In its 4th year and growing with quality every year. 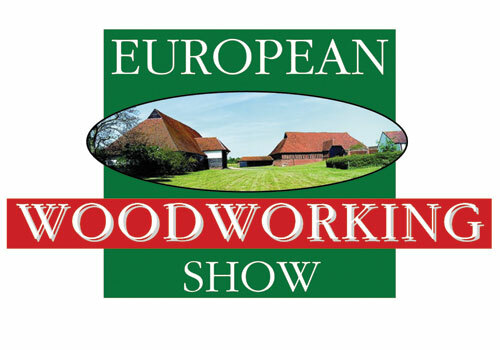 The European Woodworking Show is fast becoming the most interesting woodworking weekend in the UK, with top class demonstrators from the UK and overseas across a breadth of woodworking disciplines and crafts. Cressing Temple Barns near Witham in Essex is a scheduled ancient monument. The site has its origins in the 12th century and is home to the two finest Templar barns in Europe, one of which, dating from 1205, is the oldest timber framed barn in the world. The site is made up of a group of remarkable farm buildings, the barns, a Templar well and a Tudor walled garden. The European show is based in the historic barns, large marquees, the open cart sheds and open space. It is 90% wheelchair accessible (one first floor area). For the full demonstrator list, click here. 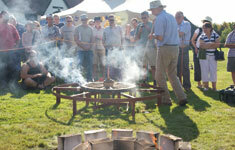 A full list of trade exhibitors can also be found on this page. 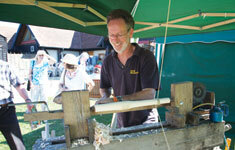 There will also be a number of woodworking seminars with David Savage, who will be giving talks on both days. See below for ticket details.